Do you remember Depeche Mode's Enjoy the silence from 1995? It was like an invitation to the world of calmnessness. Now members of Flatline invite listeners to the reality full of noise, as well as industrial music, which was born as a result of that reality's existance. Their album from 2009 entitled Enjoy the noise is a trip into the land of sounds. At first, the Compositions seem like a hasty journey towards very gentle sounds at the end. The first piece resembles an act of running. Words Warning! The time is running up! are like motivation for the best. I have to admit that The Warning is a good start of this album. It's like a warm up for all EMB fans, before everything that follows. Till Machinery all tracks are dynamic and full of energy. There are a lot of electro sounds mixed with male vocal. After seventh track chges are introduced. Listener is lead into the area of a little bit calmer compositions. This part of the album is my favorite. There you can hear tracks like Virus or Sprungwellen. Both of them are interesting. In first of them you can hear wonderful scale of electronic sounds which are appear to be a gem amongst the rest of the tracks. One can say that men live for such sounds. Sprungwellen is very melodic, in turn. Here the listener has an amazing conjunction of EMB and children's choir. This is amazing! 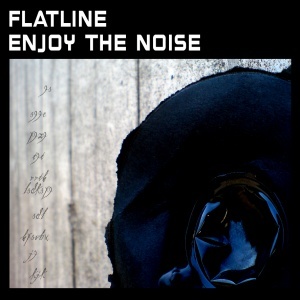 In my opinion this compilation makes a perfect end to Flatline's Enjoy the noise. I think this album is like a sign of our time. We live in world full of various sounds, sometimes even noise. But maybe composers wanted to show us that all these modern, industrial sounds around us can be a good base to create music?